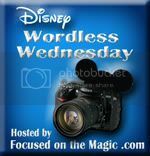 Welcome to the weekly Wordless Wednesday Bloghop hosted by Focused on the Magic! This weeks theme is "B" and it has us traveling down the Maharajah Jungle Trek! That sign is your last warning! Will you turn back or face your fears? These suckers (pun intended) are huge! Creeped out yet? Honestly they are fascinating. After I got over the fact that I was not going to be bitten and turned into a vampire, I watched them for quite awhile. No wonder there is so much folklore surrounding bats! If you enjoyed this Wordless Wednesday Stop ~and I sincerely hope you did~ please click below to hop on over to the other great sites! 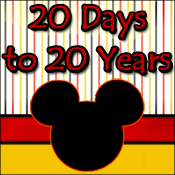 Thanks to Deb at Focused on the Magic for religiously hosting this wonderful trip through Disney pictures every week! Love it! I'm just batty over the bats whenever we're in AK! They are amazing to watch. Thanks so much for sharing and for joining in on the "B" blog hop fun today! They almost look fake...until they start moving! Ah I haven't witnessed that! Haha! I suppose we are being somewhat voyeuristic as we watch them in their home...doing bat things...whatever those may be! I love watching the bats...but there are usually too many people there for me...so I don't stay as long as I'd like. They are truly fascinating. I agree! I was lucky that day and had plenty of room to study them for awhile. ooooo I would rather have the bats than the insects! There is one (probably several) around our house. In the summer evenings we see it swoop down, dip in the pool and swoop back up. We call it Stellaluna and look forward to seeing her every year! I understand. I had to overcome some shivers myself. Actually, I'm not sure I really overcame them--just got distracted by curiosity! Don't like the bats. Love the pictures of the bats though. I'll take the high path with Lisa, but we still want to see your pictures at the end. I'm not a fan of bats either but this ride piqued my curiosity that I would go on it and probably have fun. Awesome shots!